More and more jurisdictions are considering, or have passed, legislation governing employee schedules in industries, such as the retail and fast food industries. These measure are known as “fair workweek,” “predictive scheduling” or “secure scheduling” legislation. In 2014, San Francisco became the first city in the U.S. to pass such fair workweek legislation. Seattle and Emeryville, a small town in California with a high concentration of retail stores, have also passed fair workweek measures. 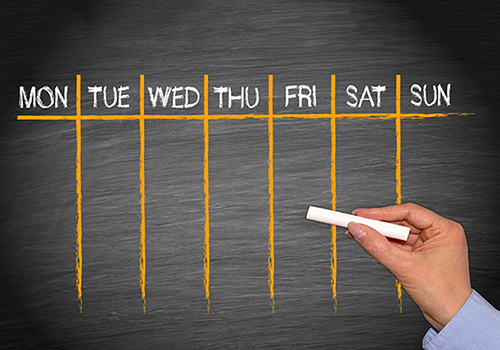 The District of Columbia recently considered a fair workweek initiative but it did not pass. Portland’s city council recently passed a non-binding resolution encouraging employers to implement fair scheduling practices. New York City is currently considering six fair workweek bills, which have the full support of the Mayor. Fair workweek measures seek to provide more predictability in employee schedules and hours. Proponents of such measures say that the often-erratic schedules of the retail and restaurant industries can make it difficult to find child care, manage multiple jobs, attend school or budget for everyday expenses. These initiatives generally require employers to post employees’ work schedules in advance (usually two weeks in advance), pay a “premium” to employees if last-minute schedule changes are made, offer work to current employees (rather than hiring more part-time workers) and consider requests for modified or flexible working arrangements. Fair workweek measures also may place restrictions on an employer’s ability to schedule employees for “on-call” shifts or back-to-back closing and opening shifts. Retaliation in response to an employee exercising his or her rights under fair workweek laws is prohibited. The fair workweek legislative package being considered by New York City, the biggest city in the U.S., would have far-reaching effects. One bill requires all employers to consider requests for a flexible work arrangement and to provide an anticipated work schedule to employees expected to work a certain schedule upon hire. Another would require retail employees to post schedules at least 72 hours in advance and discontinue on call hours. Other bills set out additional requirements for “fast food establishments,” such as requiring employers to give employees the option of deducting contributions for non-profits from their wages, post information about additional shifts when they become available, post schedules 14 days in advance and pay “schedule change premiums”. One bills also prohibits employers from scheduling workers for consecutive closing and opening shifts. More and more employers are recognizing this trend toward predictable scheduling. Several large companies —- including Starbucks, Disney, Abercrombie & Fitch, and J. Crew —- have proactively made changes to their scheduling practices, ahead of mandates from fair workweek laws. Employers, especially those in the retail, restaurant, and fast food industry, should pay close attention to the fair workweek movement. Employers can even take this time to analyze their current scheduling practices to proactively make change to their scheduling practices or to determine how they could best change their business practices should a fair workweek law pass in their jurisdiction. If the city where the employer operates has already passed fair workweek legislation, the employer should review its scheduling practices to ensure it is complying with the fair workweek laws.